Sea Change is the fifth official studio album and eighth overall by American alternative rock artist Beck, released on September 24, 2002. Recorded over a two-month period at Ocean Way Studios in Los Angeles with producer Nigel Godrich, the collection includes themes of heartbreak and desolation, solitude and loneliness. "Lost Cause" and "Guess I'm Doing Fine" were released as singles. For the record, much of Beck's trademark recondite and ironic lyrics were replaced by more sincere, simpler lyrical content. He also eschewed the heavy sampling of his previous albums for live instrumentation. When interviewed, Beck cited the breakup with his longtime girlfriend as the major influence on the album. Sea Change peaked at number 8 on the Billboard 200, later being certified gold in March 2005 by the Recording Industry Association of America. The album received positive critical acclaim, and it has continued to grow in stature since its release, featuring in several 'best of the decade' and 'best of all-time' lists. Reviewers praised the change in style from sonically experimental to simple and emotional. Upon completion of touring for his previous effort, Midnite Vultures (1999), Beck and his fiancée, stylist Leigh Limon, ended their nine-year relationship. Three weeks before Beck's 30th birthday, he discovered Limon had been cheating on him with a member of Los Angeles-based band Whiskey Biscuit. Beck lapsed into a period of melancholy and introspection, during which he wrote the bleak, acoustic-based tracks later found on Sea Change. He wrote most of the album's 12 songs in one week, but then shelved them. "Songs sit in my head for a while," he told Time in 2002. "I have dozens in there, songs from eight years ago that I've written but never recorded. After a while, I just sort of decide to record them." Beck also strayed from the songs to keep from talking about his personal life, as well as to focus on music and "not really strew my baggage across the public lobby." Eventually, however, he found the songs speak to an experience (a relationship breakup) that is common, and that it would not seem self-indulgent to record them. In 2001, Beck drifted back to the songs and called his frequent producer, Nigel Godrich. Hansen intended to record the album in late 2001, but due to the September 11 attacks, "it took a while for people to line-up." Before working with Godrich, Beck recorded tracks with Dan "The Automator" Nakamura in January 2002 in preparation for the new record, but eventually no songs from those sessions were present on Sea Change. Many songs from Sea Change, such as "Lost Cause," were performed live prior to the album's recording. Another new song, "Evil Things," was also performed and demoed but ultimately not recorded for the album, due to loss of time. Regarding the performances of more personal tracks in days before Sea Change, Beck explained in 2008 interview that "Those were the kinds of songs I would play in the middle of the show. I'd try to throw a couple of them in. I just remember the audience kind of disregarding them, or moshing, or throwing things. Just because those were the kinds of persons that came out." Beck Hansen and his group of musicians entered the studio with intentions to make the record an acoustic-based offering, in the vein of those for his emotive 1998 disc Mutations. Early in the recording process, Beck told Godrich that he was hoping to record one track per day, similar to the process of Mutations. However, each song ended up taking at least two days to record, due to orchestral arrangements. Musical partners in the studio included multi-instrumentalist Jon Brion, drummer James Gadson, and guitarist Jason Falkner, as well as longtime musical partners, keyboardist Roger Joseph Manning Jr., bassist Justin Meldal-Johnsen, drummer Joey Waronker, guitarist Smokey Hormel, and cellist Suzie Katayama. In addition, Beck's father, David Campbell, provided string arrangements. Joey Waronker left mid-way through recording for Hawaii; James Gadson filled in for him the remaining days. Recording began as soon as the band entered Ocean Way Studios in Los Angeles on March 6, 2002. Much of Sea Change was recorded live, with extra effects (including bells and strings) added later. In order to capture the immediacy of the material, the artists worked quickly and spontaneously, frequently laying second takes of songs to disc. During production, Beck realized his singing voice had gotten significantly deeper. "Before we recorded," said Godrich, "We listened to Mutations, and his voice sounded like Mickey Mouse. His range has dropped. Now when he opens his mouth, a canyonesque vibration comes out. It's quite remarkable. He has amazing tone." By the end of production, the group of musicians had to work faster than they intended. "We kind of ran out of time at the end," said Beck. "Joni Mitchell was coming in to do her record, but she works very civilized and she takes the weekend off, so we were sneaking in on the weekends and trying to finish." Eventually, recording lasted a little over three weeks and the album was mixed from there on, which was completed May 7. At one session, Hansen began strumming his 1995 single "It's All in Your Mind" randomly before beginning a new song, and Godrich became ecstatic, remarking "We have to do that." The strikingly different re-recorded version appears on Sea Change as an "evolved song", according to Hansen. "Ship in the Bottle" was the only completed track left off the record. "That was the super-pop song of the record," said Beck in 2002 interview. "I think it was a little too corny. I mean, it was heartfelt, but since then people have been telling me they really liked it. I think we felt that the album was so long already. I don't know what the fate of that will be." Eventually, "Ship in the Bottle" was released on the Japanese version of Sea Change and later remasters. The recordings from Sea Change sessions include themes of heartbreak and desolation, solitude and loneliness. Although often compared to Mutations, Beck himself regarded the album, in a 2008 interview, as more representative of his 1994 album One Foot in the Grave and "more representative of what I was doing [in the early days]." Before release, retailers worried about the commercial impact of Sea Change due to its sound. Analysts predicted the album would not receive heavy radio support, noting that Beck's reputation, critical acclaim and the possibility of multiple Grammy nominations might offset an uncommercial sound. "It's a really beautiful album, but it's going to appeal to a different audience than he's had before," said Vince Szydlowski, senior director of product for the Virgin Megastore chain, shortly before the release of Sea Change. "If you're used to the 'two turntables and a microphone' Beck, then this isn't the record for you. I think it'll go gold, but it'll struggle beyond gold." The album's release date was announced May 31, 2002. In addition, the album's initial track listing was also released, featuring songs in a very different order than their final version, as well as including the track "Ship in the Bottle". The album's title was announced in August 2002. In promotion of the record, new tracks from the record were released in chronological order by track listing weekly through Beck's website in July and August, 2002. Sea Change was released September 24, 2002. In a five-star review, Rolling Stone critic David Fricke wrote that Sea Change was "the best album Beck has ever made, and it sounds like he's paid dearly for the achievement." Rolling Stone went on to name it the best album of 2002; the next year, the album was ranked number 436 on the magazine's list of the 500 greatest albums of all time. It was ranked number 17 on Rolling Stone's list of the 100 best albums of the 2000s. Sea Change peaked at #8 on Billboard's Top 200 chart and was eventually certified gold in March 2005. In the UK charts, it peaked at #20. As of July 2008, Sea Change has sold 680,000 copies in the United States. It is said that the album sound concept is inspired by the sound of Serge Gainsbourg's album Histoire de Melody Nelson. Beck would later produce an album for, and record with, Gainsbourg's daughter Charlotte. Critics have also compared the acoustic and relaxed melodies of Sea Change to the works of British singer-songwriter Nick Drake and Bob Dylan's 1975 album Blood on the Tracks. The album was re-released in a remastered form by Mobile Fidelity Sound Lab in June 2009. Sea Change yielded many tours in support, the first of which began as a low-key, theatre-based acoustic tour in August 2002. Each show gave a playful, energetic atmosphere, with Beck telling jokes in between performances, and a surprise appearance by Jack White of The White Stripes at the August 11 show, which MTV News described as getting "a standing ovation from the sold-out crowd of college kids and beatniks." A larger tour was planned for October 2002, with The Flaming Lips as opening band, as well as Beck's backing band. The tour began in October and ended in November 2002. During the touring for Sea Change, Beck varied the set list and experimented with song structures, changing the arrangements each night as a way to break away from predictability. True to Beck's desire for re-interpretation of songs, he dismissed both his longtime touring band and the group he worked with for Sea Change shortly before touring began. Between new and old original songs at each concert, Beck performed many improvisational covers, such as "No Expectations" by The Rolling Stones, Big Star's "Kangaroo", The Zombies' "Beechwood Park" and "Sunday Morning", by The Velvet Underground. Described as "breathtaking" by David Fricke of Rolling Stone, Fricke also expanded upon his statements: "It was a perfect fit — songs about commitment and loss, written and sung by the wounded." All four different album covers released for Sea Change. Sea Change was released with four different album covers, each version containing distinct digital artwork by Jeremy Blake on the CD and the booklet. There were also different hidden messages (lyrical snippets) written under each version's CD tray. The original cover art for the album was used as an effigy in the music video for lead single "Lost Cause". All tracks written by Beck Hansen. Appears on the Japanese release and the Mobile Fidelity Sound Lab remaster. Credits for Sea Change adapted from AllMusic. 1 2 3 Erlewine, Stephen Thomas. "Sea Change – Beck". AllMusic. Retrieved February 26, 2011. ↑ Lester, Paul (September 29, 2002). "Beck to basics". The Age. Retrieved February 13, 2011. 1 2 3 4 Wiederhorn, Jon (September 26, 2002). "Beck Shoots For Feel-Good Acoustic Heartbreak LP". MTV News. Retrieved February 13, 2011. 1 2 3 Tyrangial, Josh (September 22, 2002). "Beck Gets (Kind of) Blue". Time. Retrieved February 13, 2011. 1 2 3 4 Guzman, Issac (September 29, 2002). "Beck Checks in to Heartbreak Hotel". The New York Daily News. Retrieved February 13, 2011. 1 2 3 4 5 6 Jovanovic, Rob (August 7, 2002). "A Chat with Beck Hansen". Record Collector. Retrieved February 27, 2011. 1 2 MTV News staff (January 9, 2002). "For The Record: Quick News On Beck, Linkin Park, BSB & More". MTV News. Retrieved February 13, 2011. 1 2 3 4 5 Wiederhorn, Jon (May 31, 2002). "Beck Living After Midnite Vultures, Rocking With New Album". MTV News. Retrieved February 13, 2011. 1 2 Wiederhorn, Jon (March 5, 2002). "Beck Entering Studio To Work On Acoustic-Based LP". MTV News. Retrieved February 13, 2011. 1 2 3 Bryant, Will (September 22, 2002). "Beck: Sea Change". Pitchfork Media. Retrieved September 13, 2012. ↑ "Beck - Sea Change (Mobile Fidelity Sound Lab reissue) at Discogs". Discogs.com. Retrieved February 26, 2011. 1 2 3 Joe D'Angelo (September 12, 2002). "Beck, Flaming Lips Line Up First Leg Of Tour". MTV News. Retrieved February 13, 2011. ↑ Parles, Jon (September 22, 2002). "Beck Is Back And Feeling Very Blue". USA Today. Retrieved February 13, 2011. 1 2 3 Wiederhorn, Jon (August 14, 2002). "Beck's Plan For Keeping Everyone Awake: The Flaming Lips". MTV News. Retrieved February 13, 2011. 1 2 3 Wiederhorn, Jon (July 10, 2002). "Beck Previewing New Songs On Acoustic Tour". MTV News. Retrieved February 13, 2011. ↑ "Reviews for Sea Change by Beck". Metacritic. Retrieved September 13, 2012. ↑ "Beck: Sea Change". Blender (10): 112. October 2002. ↑ Serpick, Evan (September 27, 2002). "Sea Change". Entertainment Weekly. Retrieved September 13, 2012. ↑ Costa, Maddy (September 20, 2002). "Beck: Sea Change". The Guardian. Retrieved August 26, 2015. ↑ "Beck: Sea Change". NME: 38. September 21, 2002. ↑ "Beck: Sea Change". Q (195): 98–99. October 2002. 1 2 3 Fricke, David (September 10, 2002). "Sea Change". Rolling Stone. Retrieved February 13, 2011. ↑ Hermes, Will (October 2002). "Tears of a Clown". Spin. 18 (10): 111–12. Retrieved August 26, 2015. ↑ Christgau, Robert (December 31, 2002). "Consumer Guide: Don't Call It a Comeback". The Village Voice. Retrieved August 26, 2015. 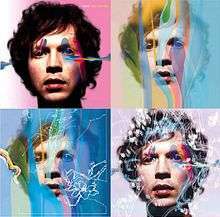 ↑ "500 Greatest Albums of All Time, 436, Beck, "Sea Change"". Rolling Stone. May 31, 2012. Retrieved March 23, 2013. ↑ Singh, Amrit (December 10, 2009). "Rolling Stone's 100 Best Albums, Songs Of The '00s". Stereogum. Retrieved March 8, 2012. ↑ Billboard.com, Beck, "Sea Change"
↑ "Ask Billboard". Billboard. 2008-07-18. Archived from the original on 2008-08-01. Retrieved 2008-07-18. ↑ Fuoco, Christina (August 12, 2002). "Beck Gets The Giggles, White Stripes' Jack At Michigan Gig". MTV News. Retrieved February 13, 2011. ↑ "Australiancharts.com – Beck – Sea Change". Hung Medien. Retrieved February 12, 2014. ↑ "Austriancharts.at – Beck – Sea Change" (in German). Hung Medien. Retrieved February 12, 2014. ↑ "Ultratop.be – Beck – Sea Change" (in Dutch). Hung Medien. Retrieved February 12, 2014. ↑ "Ultratop.be – Beck – Sea Change" (in French). Hung Medien. Retrieved February 12, 2014. ↑ "Beck – Chart history" Billboard Canadian Albums Chart for Beck. Retrieved February 12, 2014. ↑ "Danishcharts.com – Beck – Sea Change". Hung Medien. Retrieved February 12, 2014. ↑ "Dutchcharts.nl – Beck – Sea Change" (in Dutch). Hung Medien. Retrieved February 12, 2014. ↑ "Beck: Sea Change" (in Finnish). Musiikkituottajat – IFPI Finland. Retrieved February 12, 2014. ↑ "Lescharts.com – Beck – Sea Change". Hung Medien. Retrieved February 12, 2014. ↑ "Officialcharts.de – Beck – Sea Change". GfK Entertainment Charts. Retrieved February 12, 2014. ↑ "Charts.org.nz – Beck – Sea Change". Hung Medien. Retrieved February 12, 2014. 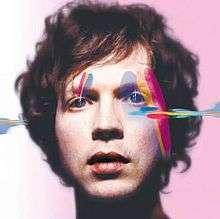 ↑ "Norwegiancharts.com – Beck – Sea Change". Hung Medien. Retrieved February 12, 2014. ↑ "Swedishcharts.com – Beck – Sea Change". Hung Medien. Retrieved February 12, 2014. ↑ "Swisscharts.com – Beck – Sea Change". Hung Medien. Retrieved February 12, 2014. ↑ "Official Albums Chart Top 100". Official Charts Company. Retrieved February 12, 2014. ↑ "Beck – Chart history" Billboard 200 for Beck. Retrieved February 12, 2014. ↑ "Canadian album certifications – Beck – Sea Change". Music Canada. ↑ "Beck - Sea Change at Discogs". Discogs.com. Retrieved February 26, 2011.